Helping the world sing... better!™ - Did you know that most people, when trained, can learn to sing really well? To be one of them, you need two things: 1. vocal training, 2. a good sense of pitch. 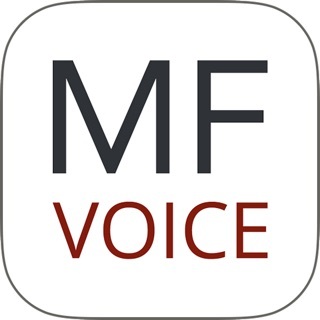 This app gives you not only world-class voice lessons to develop your voice, but also instant visual feedback on your pitch using our patented technology designed specifically for voice lessons, so you also develop an accurate sense of pitch. Erol Singer’s Studio is a complete vocal training program that comes with dozens of voice lessons that were designed by an award winning singer and vocal coach to help you learn about your voice and become a better singer. During practice, target notes and your actual pitch are simultaneously displayed onscreen, so you can see and correct any pitch problems before they become habits. The app comes with 72 unique voice lessons¹, each individually crafted to build a specific skill, each with detailed instructions and audio examples. Lessons are always customized to your specific range, and are organized into training programs for beginner, intermediate, and advanced singers. The app also contains 60 ear-training exercises¹ for scales, intervals, and arpeggios that will — combined with our patented visualization technology — greatly expand your musicianship. Erol Singer's Studio is not only the most beginner-friendly voice training app on the market, but with support for standard sheet music notation and accurate pitch analysis even for lip and tongue trills that are staples of voice training, it is also the most powerful one for advanced singers. What will Erol Singer’s Studio do for you? - Detect your vocal range, and customize the lessons to a comfortable range for you. Be sure to use this feature; it'll make the notes much easier to sing, and you'll be able to focus on learning. Erol Singer’s Studio is NOT a karaoke game and as such does not include sing-along songs. 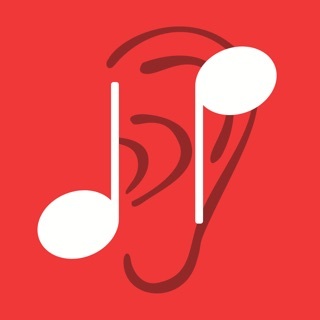 It is a fun app that will seriously improve your singing. ¹ "Beginner Program 1" (a set of 7 lessons) is included for free for all users, which you can use for as long and as often as you'd like. The complete set of lessons and exercises requires an active subscription². If you decide to purchase a subscription, payment will be charged to your Apple ID account when you confirm your purchase. Subscription automatically renews unless canceled at least 24 hours before the end of the current period; your account will be charged for renewal within 24 hours prior to the end of the current period. You can manage and cancel your subscriptions via your account settings on the App Store after purchase. ² If you bought a paid version of the app in the past, you don't need a subscription. - Added support for audio devices that don't support mono mode. - Fixed a rare crash if a posture lesson is paused on the last frame. - Fixed a rare crash if an audio device is connected at the same time a lesson starts. Note: If you purchased a paid version of the app in the past, all content will be automatically unlocked for you. If not, make sure you are logged into your App Store account via the "iTunes & App Store" section of the Settings app. If you need help, contact us via the "Contact Us" button on the Help tab. I rarely ever leave reviews, but after using this app for a few days I felt it more than deserved a positive one. I've been playing and writing music since I was 10. I have taken piano and vocal lessons and I can honestly say that this app is more helpful than vocal lessons in that it saves $$ and makes it possible to get a visual representation of where you are and where you need to be. My vocal lessons were $25 per half hour and the first 15 mins or so were always dedicated to the breathing exercises alone. I stopped after a few days of lessons because $ was tight. This app costs less than a 30 min session and I have already improved my vocal technique tremendously. Thank you. There are singing apps out there that offer similar features and I’ve tried many, but in all fairness, none comes close to Erol’s Singer Studio. 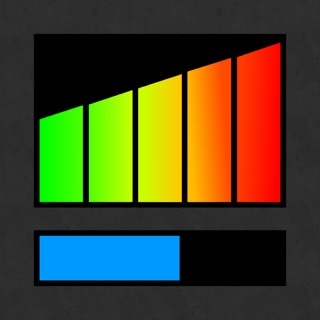 Those were only the highlights of the app, there are so many other cool stuff under the hood.. amazing app. Hello! I am a firm believer in vocal training! That being said, I recently had to quit going to my vocal teacher for financial reasons. After researching, this is the only app based option that even comes close. I know it’s a teeny initial investment, but the amount of exercises that it provides makes up for a lot of gaps that would exist in self training. I would highly recommend this if you cannot get a teacher!! © 2012-2019 Erol Studios Inc.